If you've enjoyed using Plantronics headsets in the past, you'll probably enjoy the way this one feels, fits and sounds. However, those strengths have to be weighed against the the dire state of Dolby Atmos support when it comes to gaming. There are plenty of brands out there dabbling in the console gaming headphones space. However, until recently, there’s not been a huge gulf between the best and the brightest in the area. Sure, some headphones might offer better fit or longer battery life. However, in terms of the sound quality, console gaming headsets rarely really push boundaries in the same way that their PC counterparts do. Pushing against this tendency to fall back on more of the same (with maybe a new color scheme or slightly better quality stick-mic) comes the Plantronics RIG 800LX. Its secret weapon: Dolby Atmos. Plantronics has an exclusive deal with Dolby to include a voucher for the home theater tech with certified headsets, and they’re making the most of it here. 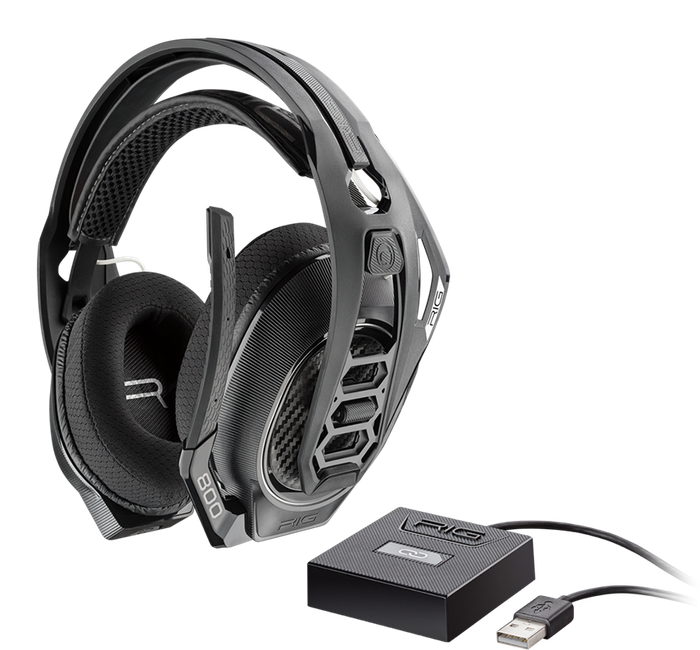 If you’d have them tell it, Atmos is light years ahead of the competition - and Plantronics have got the only headsets that comes bundled with the audio tech for gamers looking to dive right in on the action. In terms of design, the RIG 800LX definitely keeps with tradition. The last Plantronics headset I spent any much time with was the RIG 4VR and this felt like a pretty close-match for ergonomics. As always, your mileage may vary here based on your head-size and headphone preferences. That said, the frame on the 800XL did feel a little bulkier around my ears. It wasn't necessarily super-uncomfortable but it definitely wasn't as comfortable as the last four or five gaming headsets I've used. This extra space isn’t for nothing, mind you. As well as contribute to some added internals via extra bass tubes, the space is also built to house several toggles and dials used to control audio. Drilling down into the specifics: the left ear-frame contains not only the usual power and volume buttons but also a filter that allows you to prioritize in-game sound or voice communications. In terms of setup, the 800XL isn’t exactly difficult to assemble. However, all the same, the physical setup did feel a little inelegant compared to some of the wireless headsets I’ve used. Rather than rely on straight Bluetooth, the RIG 800LX comes with a dongle that you plug into your Xbox One X. Again, this isn’t hugely difficult to do (it's pretty plug and play). However, it’s an unfortunate tax to pay given the small USB-count on the Xbox One already is. 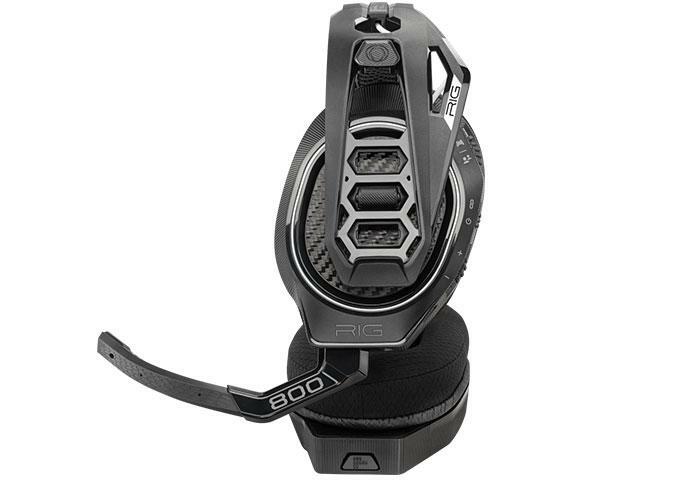 In the defense of the Plantronics 800LX, this might well be a pain-point inherent to all Xbox One headsets at the moment - but it's still a pain-point nevertheless. I thought the sound quality offered up by the 800LX headset was decent but the fit of the headset wasn't very effective at isolating outside noise - which detracted from the experience. Then there’s the main-event. Dolby Atmos. How does it sound? Good. Does it make for a more immersive sound experience? Absolutely. Unfortunately, it’s a little let down by the headphones themselves which didn’t always do a great job of isolating me from outside sound. The other catch here, of course, is that only a limited selection of games on the Xbox One actually support Dolby Atmos. How limited? Try eight. Yep. According to the Dolby Atmos website, that paltry sum is indeed the case. At the time of writing, only eight games support Dolby Atmos on the Xbox One. 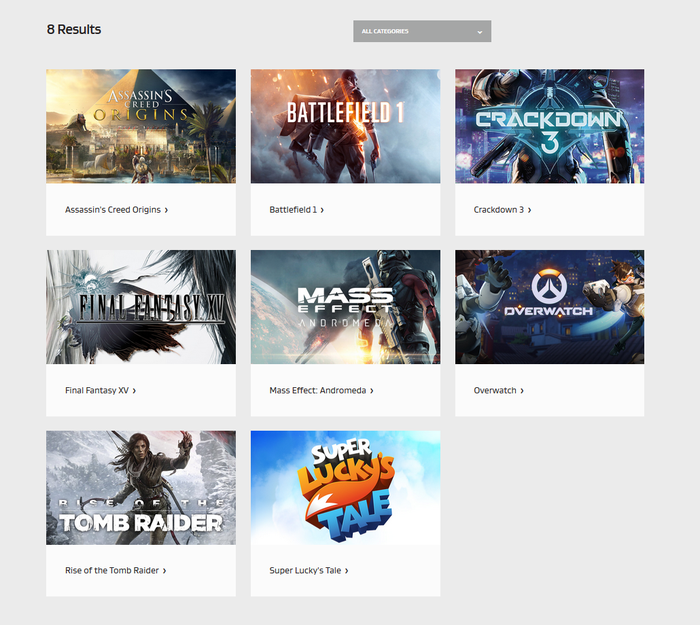 In fact, there’s so few titles here that I’m actually going to bother listing them: Assassins Creed: Origins, Crackdown 3, Battlefield 1, Final Fantasy XV, Mass Effect: Andromeda, Overwatch, Rise of the Tomb Raider and Super Lucky’s Tale. Once again, there are eight games on the Xbox One X with proper Dolby Atmos support - and one of them is Super Lucky’s Tale. Yes, you can also experience Dolby Atmos via compatible video content. However, when you consider that these are gaming headphones banking on Dolby Atmos to elevate them above the competition, the fact that gaming support for the feature is so limited really stings. Despite these grips, this isn’t to say the 800LX sounds bad. Far from it. However, when Dolby Atmos games support is what it is, it’s hard to recommend it here over the many more ergonomically sound, or noise-cancelling options available. That said, the 800XL does offer up better battery life than a lot of the alternatives at 24 hours per charge - which might prove a deal-maker for power-users. There’s a good reason the Dolby brand still carries a fairly robust reputation. When it comes to home theatre experiences, their sound tech remains a genuine and compelling asset. However, when it comes to gaming, it’s still a very niche inclusion and falls well-short of justifying the premiums it demands in return. If nothing else, the RIG 800LX really hammers that point home. If you've enjoyed using Plantronics headsets in the past, you'll probably enjoy the way this one feels, fits and sounds. However, unless you’re really, really, invested in one (or more) of the titles in the present lineup of supported software - it's tricky to say that Dolby Atmos for gaming lives up to the hype.